Spiritual Astrology Readings are processed by hand, and may take up to 24 hours to receive. The average time is within a few hours. 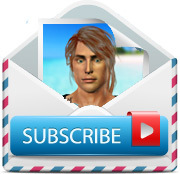 Astrology reports are delivered by email. I use spiritual astrology to help people "look within" themselves and learn how to harness the power of their souls. Everyone is born with talents and challenges to overcome. This spiritual astrology report is quite in-depth, and is based on the mathematically precise positions of the planets and the Sun & Moon at the time, date and place of your birth. It provides you with insights into your character and individual life potentials by indicating the strengths you have and the challenges you experience in life. Your spiritual personal astrology reading covers your primary motivation in life, your identity, emotions, mentality, love and sexuality, spirituality, earning ability and career potentialities and so on. Ascendant: The Ascendant describes your personality and image, the face you show the world, and the nature of your personal and wider environment. Sun: The Sun describes your sense of personal identity, your creative expression and ability to realize your individual potential and gain recognition. Moon: The Moon describes your emotional nature, instinctual behavior and unconscious response patterns, and sense of home and family. This relationship comptibility report is based on the astrology technique of Synastry, which compares the horoscopes of two people and interprets the correlations between them. The first part of the report analyzes the mix of Qualities and Elements between you to give a general indication of your modes of behavior. The second part looks at the placements of each other's planets in one another's natal houses. This indicates how you influence each other in the areas of life represented by the houses occupied by one another's planets. Daily spiritual astrology readings are available by email for free, simply by signing up for them. A personal reading is one of yourself. 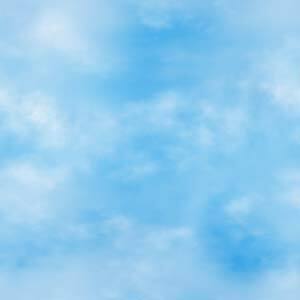 A relationship compatibility readings includes you and your partner. A partner reading is a personal reading of your partner. Get all three, means you get all three at a reduced cost. Once payment has been received, PayPal will immediately email you a link to a secure server where you will submit the required information for your reading(s). Your personal information is never stored, or used for marketing purposes. Please check your spam filter if you do not receive the link from PayPal. 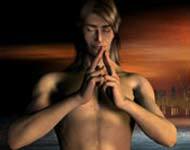 Personal and relationship astrology readings are provided as a service for your spiritual growth. Daily spiritual astrology readings are available by email for free, simply by signing up for them. Just to avoid any confusion, these reading are NOT predictions of your future. Readings covers the cost of maintaining a staff to process them and payment is processed through a third party provider Solution Web Designs. 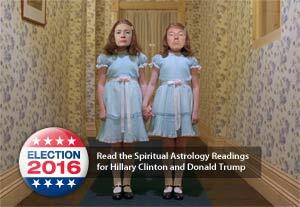 Read the Spiritual Astrology Readings from Our Last Election. Midheaven: The Midheaven describes your highest aspirations in life and means to self-fulfillment, your personal vocation, and your status as perceived by others. Mercury: Mercury describes your manner of expression, your powers of communication and intellectual reasoning, your ability to formulate and articulate ideas, and to make decisions. Venus: Venus describes your appreciation of beauty and the arts, your powers of attraction, and your capacity for close personal relationships and love affairs. Mars: Mars describes the way you act and assert yourself, your basic urges and desires, and your ability to achieve personal goals. Jupiter: Jupiter describes how you relate to the larger world beyond your personal self, how you expand in life, and experience higher learning, travel or religion. Saturn: Saturn describes your experience of reality, your fears and inhibitions, where you are serious, and how you respond to society's rules. Uranus: Uranus a generational planet - describes areas of personal and peer group uniqueness, your intuitive awareness, and your ability to adapt to the new and sudden. Neptune: Neptune a generational planet - describes your personal and peer group experiences of spirituality, your powers of inspired fantasy and areas of illusion. Pluto: Pluto a generational planet - describes your personal and peer group experience of upheavals, forces beyond individual control, power and irreversible changes. Moon's North Node: The Moon's North Node a mathematical point - describes how you interact with others socially and the types of unions you form. Normally, these spiritually astrology reports will exceed 30 pages. All readings will be emailed to the address provided when you make your payment in PDF format.